Lynn is a seeker of ideas, truths, facts and solutions. Not content with a limited horizon she works with her clients to explore the system and their own reality and unearth the ways to maximize their contribution as a business, a team or as an individual to the challenges and opportunities faced. Lynn’s natural abilities have been enhanced over a career spanning teaching, research and practical science, accounting and business consulting. Working in the Public, Private and Not for Profit sectors she has constantly developed her deep analytical and empathic people skills. She has robust experience facilitating workshops and collaborating in the implementation in the areas of vision, strategy, communication and systemic change. After growing up in Europe she has lived and worked in both Asia and Australia and has broad experience of working in different cultures, personalities and systems. 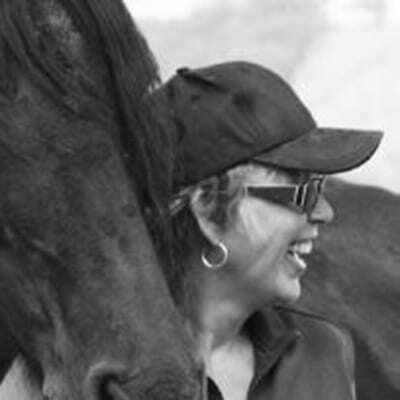 Her formal coaching skills have always been informed by her relationship with her horses where communication cannot rely on words alone and she has taken this into her work with Executives and functional teams. Associate Diploma Clinical Medical Techniques Queensland University of Technology. © 2019 Horsanity, All Rights Reserved.